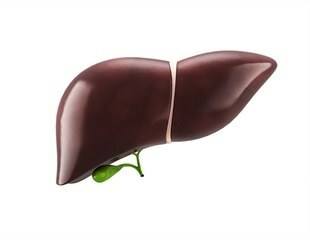 The disease consists of a production deficit of Alpha-1 antitrypsin, which is produced in the liver. The main role of this protein is to protect the lungs from degradation or inflammation caused by infections that attach lung tissue, as well as from external agents such a tobacco or pollution. Research at the Southwest National Primate Research Center on the campus of Texas Biomedical Research Institute helped advance a new treatment now in human trials for chronic hepatitis B virus (HBV) infection. Accurate genetic testing stands to transform modern medicine by offering effective, personalized treatment. A method for "silencing" RNA that emerged from a University of Wisconsin-Madison spinoff company is in clinical trials in Europe, Asia and the United States against hepatitis B, an infection that can destroy the liver. Researchers have demonstrated the feasibility of delivering an RNA that encodes for the protein alpha-1-antitrypsin (AAT)--which is missing or nonfunctional in the genetic disorder AAT deficiency--into cells in the laboratory, enabling the cells to produce highly functional AAT. Alnylam Pharmaceuticals, Inc. has announced that it has filed a Clinical Trial Application (CTA) with the U.K. Medicines and Healthcare products Regulatory Agency (MHRA) to initiate a Phase 1/2 clinical trial with ALN-AAT, a subcutaneously administered investigational RNAi therapeutic targeting alpha-1 antitrypsin (AAT) for the treatment of AAT deficiency-associated liver disease (alpha-1 liver disease). Imagine not being able to climb the stairs without stopping to take a break, or getting winded trying to stand and do the dishes. Unfortunately these are common realities for individuals suffering from respiratory conditions. Ventilators can help reduce the work of breathing by unloading the ancillary respiratory muscles, but they are often bulky and heavy, creating additional limitations for users. The Breathe Non-Invasive Open Ventilation (NIOV) System technology is a better solution. “Protein misfolding” diseases such as cystic fibrosis and Alzheimer’s may be seriously exacerbated by the body’s own response against that misfolding, according to a new study led by scientists at The Scripps Research Institute. Kamada Ltd., a plasma-derived protein therapeutics company focused on orphan indications, announces preliminary top-line results from the Phase II/III pivotal clinical trial in Europe and Canada of the Company's proprietary inhaled Alpha-1 Antitrypsin (AAT) therapy for the treatment of Alpha-1 Antitrypsin Deficiency (AATD or inherited emphysema). Kamada Ltd., a plasma-derived protein therapeutics company focused on orphan indications, will announce results from its Phase 2/3 clinical trial of its proprietary inhaled alpha-1 antitrypsin (AAT) to treat alpha-1 antitrypsin deficiency (AATD) in Europe and Canada on Friday, May 16, 2014, at approximately 7:30 a.m. Eastern time. Breathe Technologies, Inc. announced today that the U.S. Food and Drug Administration has granted the fifth 510(k) clearance for its Non-Invasive Open Ventilation System, allowing its use with compressed air supply for non-oxygen dependent patients. Baxter International Inc. today announced plans to create two separate, independent global healthcare companies -- one focused on developing and marketing innovative biopharmaceuticals and the other on life-saving medical products. Both will be global leaders in their respective markets. Researchers at Saint Louis University will study alpha-1 antitrypsin deficiency in adults, an inherited disease that can cause liver damage, to answer various questions that could lead to effective methods of treatment.